Netshoes, online retailer of sports shoes and apparel in Brazil, launched today an app that recognizes shoes. 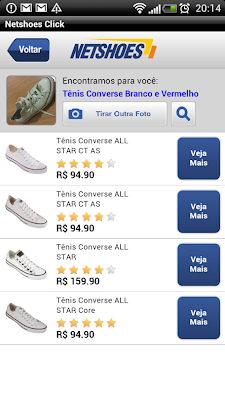 When you take a picture of a shoe with the Netshoes Click app, it will search for the identical or similar shoes in the database. Of course with a handy link to immediately buy that great sneaker you just spotted on a hipster in your local coffee bar. 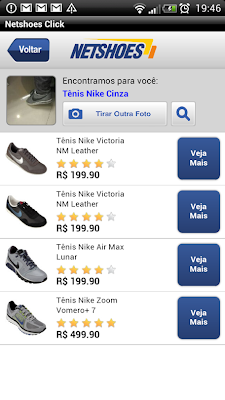 The app mainly recognizes the +5000 sneakers and sport shoes Netshoes sells and is meant to boost mobile sales from 5% to 10% of total revenue. Although Amazon previously had some go's at visual recognition apps, the company said it's a one of a kind in the current market. I did a little test of the app and guess what....it works! The white All Star seemed like an easy one to me and the app did indeed easily spot it, with an exact match on n°1 and 3 very similar recommendations. The DC also did well with a match on n°1, although I'm not sure why the other Gatsby 2 is on the last place instead of the second. As these shoes were out of stock, I was also not able to find them back when searching on their full website, which is a bit annoying. The Nike Cortez is a doubtful case. 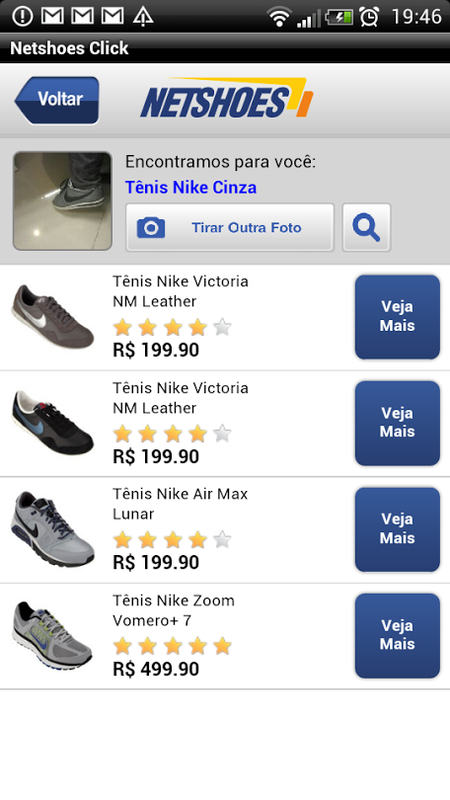 The picture is taken while wearing the shoe which might make it more difficult to recognize, but they do have a female Nike Cortez on sale which is not featuring in the list. It did recommend grey nike shoes though, so fair enough. Fascinating technology, that will be refined "as more people use the service", their CTO said.